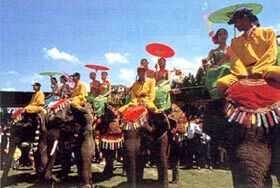 Kunming hotels: discount reservation system offered by chinahotelsreservation. The guide lists Kunming China accommodation choices ranging from budget hotels to 5 star resorts. For detailed Kunming hotel information or to reserve a hotel please click Kunming Hotels list For detailed Kunming hotel information or to reserve a hotel please click on Kunming Hotels list. Kunming Located at the center of a high plain at 2000 meters, Kunming (approximately three million inhabitants) is known as the "city of eternal spring" for its climate, which is particularly mild both in summer and in winter. The many parks, which are filled with flowers year-round, give the city a colorful and extremely pleasant atmosphere. 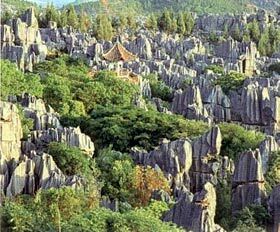 Not to be missed are Yuantong Monastery, Dian Lake with its Tower of Daguan and Western Hills, and the incomparable spectacle of the Stone Forest of Lunan.